Welcome to Mom and Me Pies! We are a home-based pie company using the finest ingredients, fresh fruit and Mom’s time tested recipes. Visit the Mom and Me Pies Online Pie Shop! Our Frozen “Take and Bake” Pies are available anytime! THANK-YOU FOR A GREAT MARKET SEASON! 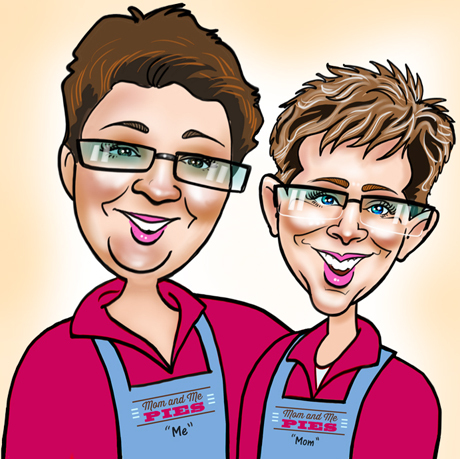 NEED A PIE FIX… CALL OR EMAIL TO ORDER ANYTIME OR…. OUR PIES ARE AVAILABLE AT GOLDEN EARS CHEESECRAFTERS AND MERIDIAN MEATS FARM MARKET, HERE IN MAPLE RIDGE! Proudly powered by WordPress | Theme: Vintage Kitchen by Automattic.